Time travel is one of the most loved topic by the science fiction and fantasy writers. The word Time Travel always fascinates every one, Imagine what it would be if you can travel through time. You can go back in time and meet your self as a child. you can go to the future and see how we will progress in the coming centuries. Michael Crichton knows how to put forward the very complex ideas of time travel and quantum physics so that the normal reader can understand it. 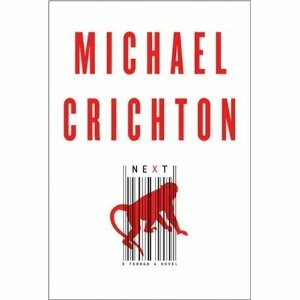 Michael Crichton always takes very specific and current events in the scientific world and blends them with our day-to-day life, in this case, very specific historical events, which are clearly researched and thoroughly presented. You can find plenty of references about the material he put forward in his novel at the end of his book as always. 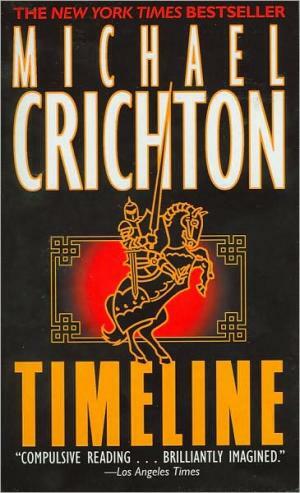 Michael Crichton has contributed much to techno-thriller genre, people even call him father of techno-thriller genre. His novel like Jurassic Park, The Lost World brought him the world-wide fame. People always talk about the advantages of the technology, it may be genetics or quantum physics. They never talk about what will happen if these technology go wrong. In Jurassic Park he has shown what Genetics will do if we don’t use it wisely and same thing he has done in Timeline, this time the area is quantum physic. Timeline is basically a blend of Ultra Modern Technology and Medieval warfare. The Combination of Medieval warfare and technology works great. I think the action sequences in this book are much more detailed like he is writing a actual film script not novel, detailing out every bit of the action. The only problem with the book is the character development. The few characters which are detailed too much never appear again in the book and the character who are critical to the plot never developed. In an Arizona desert a man wanders in a daze, speaking words that make no sense. Within twenty-four hours he is dead, his body swiftly cremated by his only known associates. Halfway around the world archaeologists make a shocking discovery at a medieval site. Suddenly they are swept off to the headquarters of a secretive multinational corporation that has developed an astounding technology. Now this group is about to get a chance not to study the past but to enter it. And with history opened to the present, the dead awakened to the living, these men and women will soon find themselves fighting for their very survival six hundred years ago. Overall a interesting read which will teach you what Quantum Physic is and How one can achieve time travel at least in theory. I will recommend this book for techno-thriller and sci-fi fans.